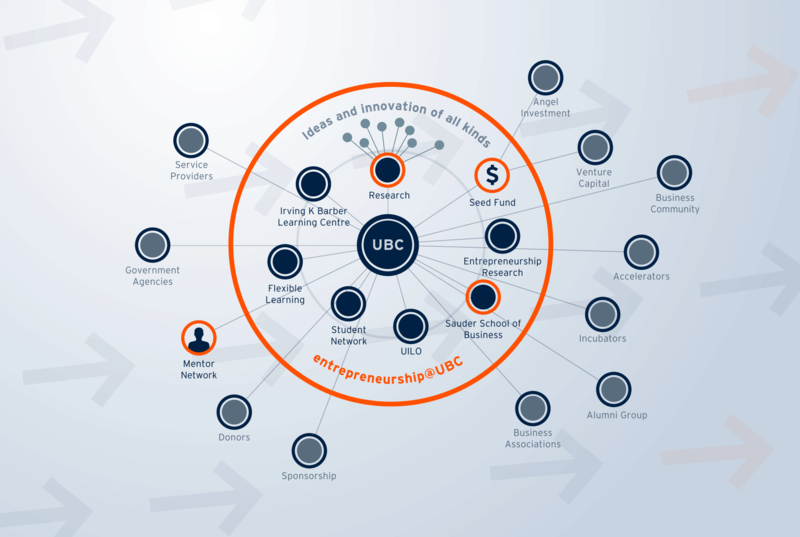 Entrepreneurship @ UBC is the first entrepreneurship program of its kind in British Columbia. 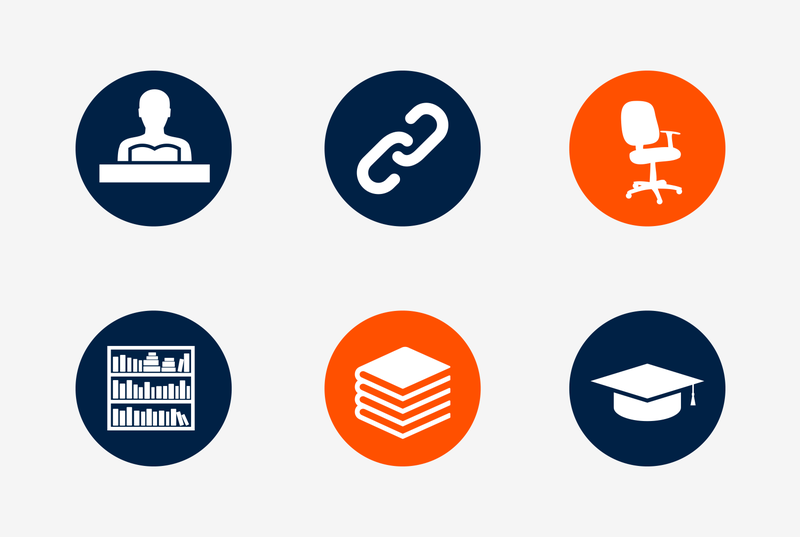 It links students and world-leading research, with the entrepreneurship ecosystem surrounding Western Canada, and an investor and mentorship network that spans the entire world. 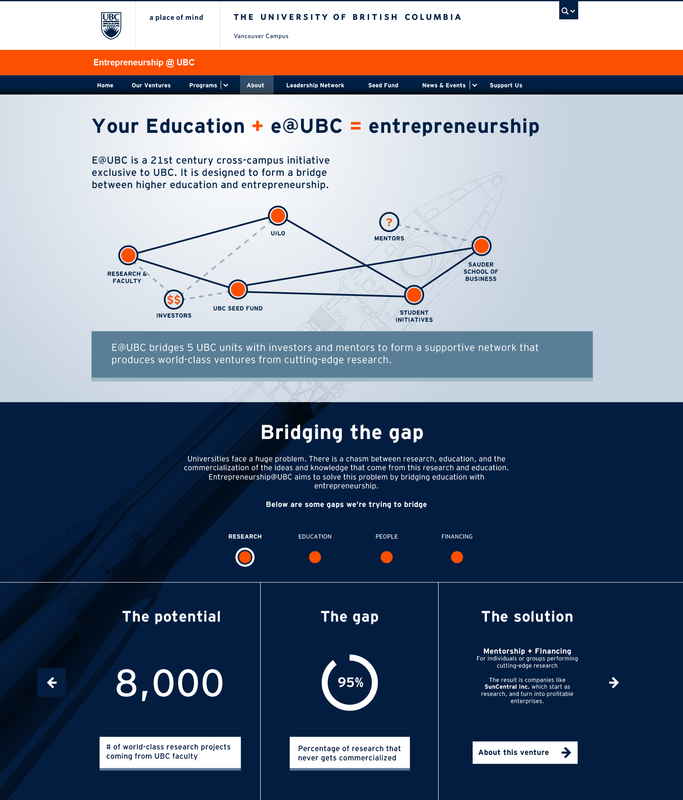 They needed a web strategy that communicated e@UBC's core messages in a way that alluded to the program's progressive nature. I designed and developed a website that included the allure of a sales site, and the practicality of an educational site.